Cryptographi was created by Cryptocurrency enthusiasts bent on creating secure and safe wallet options for everyone. 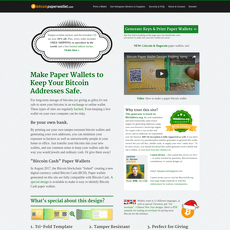 Their main product is called the “Piper Wallet” and is essentially a paper wallet printer. The Piper can store keys or print them without storing. The Piper is essentially its own little module. All you need to do is plug in some type of display, a keyboard, and a mouse and you have a personal printing portal at your fingertips. The Piper printer is an open source linux based project powered by Raspberry Pi. This eliminates the need for creating an ultra-secure environment on your PC. 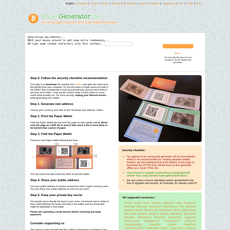 Typically, creating a paper wallet via your personal computer can be tricky as you need to ensure the computer is not infecting with any nefarious malware or other software’s. Further, you need to disconnect the internet and boot based on a Linux Live CD. Creating a paper wallet via personal computer was deemed to be too much work by the creators of Piper Wallet so they simply created an all in one fully secure printing device. The Piper can print encrypted keys, bulk keys, altcoin keys, and even split keys allowing you to hide portions of each key in several different locations. Current prices are $50 for the printer and $5 for a roll of Cryptographi paper. 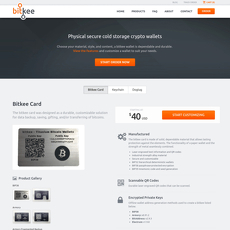 As of 9/3/2018, the website claims it is currently not selling the Piper Wallet, but you can still purchase SD cards and rolls of paper for the device. Of course, you can pay in USD or Bitcoin! The idea is fantastic and the printer is a neat little project. Payment in crypto is great! Removing the need for a super tight secure environment on your personal computer. The actual printer is not currently being sold.